I finally finished the socks last night. I gave them a quick water bath and then threw them in the dryer. 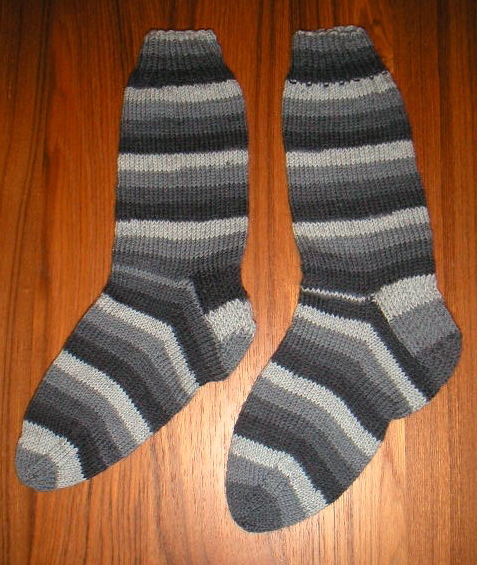 The instep and the body of the socks are both supposed to be 56 rows. However, my instep section was only 30 rows to accommodate my foot size. I really liked this pattern and how the heel has a little bit of texture due to the particular stitch pattern that was used.